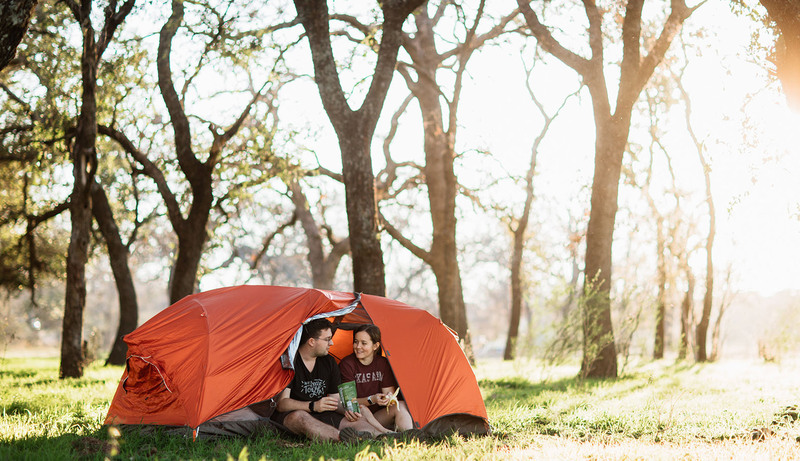 Experienced nature lovers know the importance of versatile and low-weight camping gear. So imagine if you could have a single, ultra-light shelter that can function as a tent or hammock, and weighs just a little over 3 pounds. Kammok's durable Sunda Tent Hammock features an innovative design that saves pack weight while maximizing flexibility - and it can be installed practically anywhere. Sunda stretches to eight feet four inches long and four feet two inches wide, boasting 35 square feet of livable space, the most of any tent in its category. With enough room for two people, including gear, dogs and kids, the 35-square-feet interior offers a comfortable sit-up height achieved by the flat ridge and attached brow pole. The structure offers an additional 6.25 square feet of dry storage space for gear, and easy access to both tent doors. The Sunda doesn’t stop at ground level. Inspired by the Sunda Flying Lemur, the tent transforms into a one-person hammock which “glides” among trees. 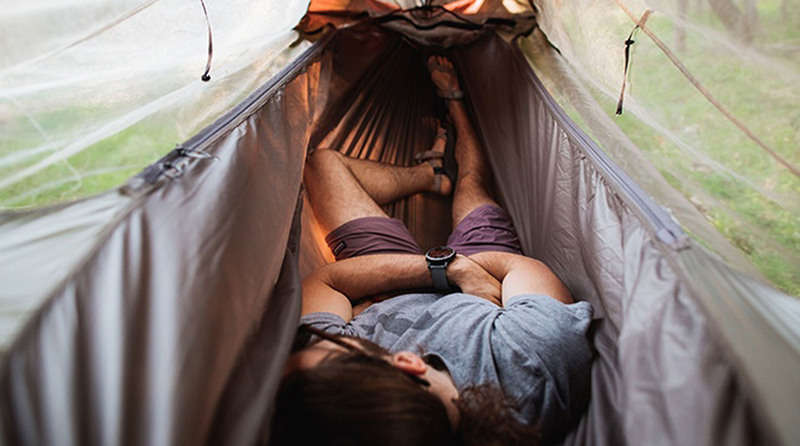 In hammock mode, you can have the mesh hang underneath for a “lounge mode” access, or you can engage the ridgeline and attached mesh above you for “jungle mode”. Kammok recently launched a Kickstarter campaign to further develop the already impressive Sunda Tent Hammock. Sunda stretches to eight feet four inches long and four feet two inches wide, boasting 35 square feet of livable space, the most of any tent in its category. With enough room for two people, including gear, dogs and kids, the 35-square-feet interior offers a comfortable sit-up height achieved by the flat ridge and attached brow pole. The structure offers an additional 6.25 square feet of dry storage space for gear, and easy access to both tent doors. The Sunda doesn't stop at ground level. Inspired by the Sunda Flying Lemur, the tent transforms into a one-person hammock which "glides" among trees. In hammock mode, you can have the mesh hang underneath for a "lounge mode" access, or you can engage the ridgeline and attached mesh above you for "jungle mode". Kammok recently launched a Kickstarter campaign to further develop the already impressive Sunda Tent Hammock.